This is LouLou. 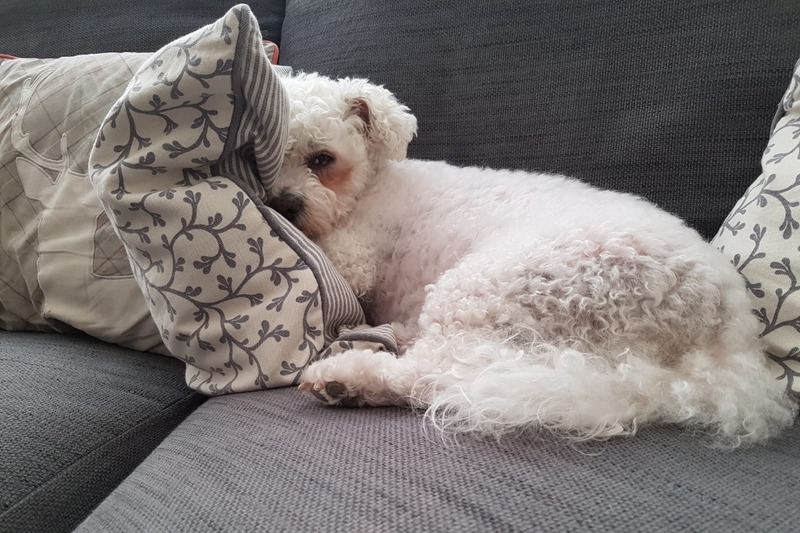 She is a 7 year old Bichon Frise and joined our family three years ago. Two years ago, she fell very ill. She was unable to urinate, was constantly vomiting and had bad diarrhea. We were told she had bladder stones and underwent a surgery to get rid of them. Earlier this year, she fell extremely ill, with similar symptoms but was also shaking constantly and was very spaced out. This time she was diagnosed with bladder stones and kidney stones. She then underwent a very long and dangerous four hour surgery on her bladder and kidneys to remove stones from both of them. It took her over a month to recover from the operation, from not eating properly and only drinking, to slowly eating small amounts each day. 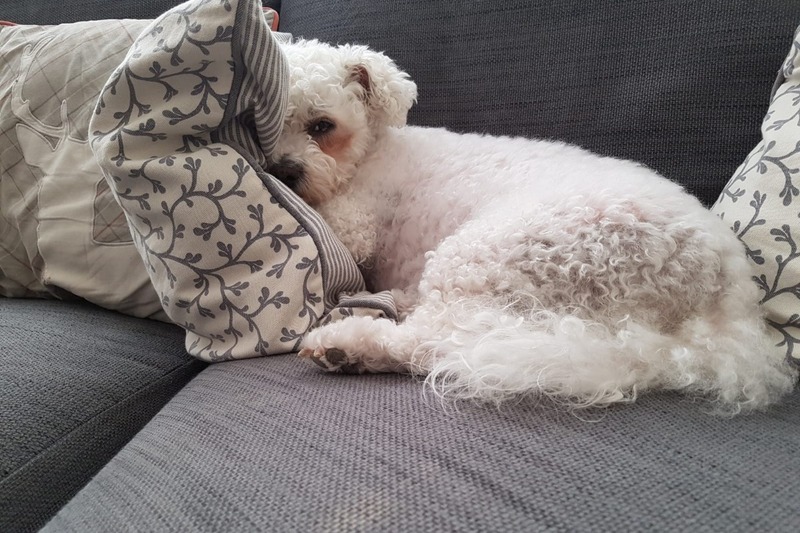 We had hoped that she was reaching the end of her recovery, however she has again fallen ill and the vet has suggested that she may have to have another high risk sugery in the same place, which can take even longer to recover from. adder stones and has little risk, and a high success rate. The money raised will be used to cover the vet expenses for this laser treatment which can cost up to £4,000. 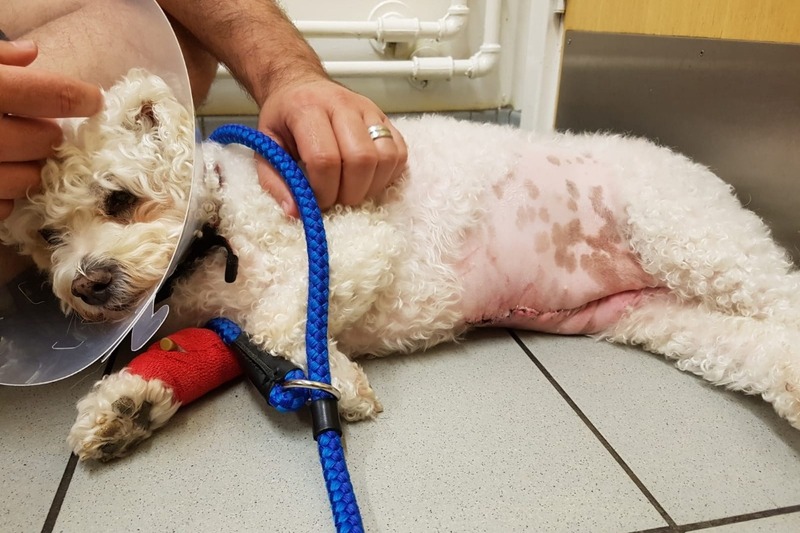 This will be a lifelong treatment for LouLou and any procedures which can help her live her best life is worth it to us. When she arrived with us, she stole our hearts and is loved by everyone that meets her. She has changed the whole families lives, with my father being disabled, she has changed his life for the better and helped him through depression. She is filled with so much love and affection, its has been so hard for us all to see her whilst she is in so much discomfort. If there were any other way we could get the money for this procedure we would do it, but the treatments are just too expensive. We will be eternally grateful for any help we receive to make LouLou's life painfree and happy. We will keep you updated regularly with her progress and updates of her health. I'm sorry for not updating you guys for a while! Lou Lou is going much better, she is on a special diet, which has to be ordered in! She has even been able to have a groom for the first time in AGES! She has some blood tests done recently, they were looking more positive than before and she will be going for some more tests and X-ray this week! I'll inform you all on how she goes! Hi everyone, thank you all so much for your donations. Just a quick update on LouLou's treatments. Yesterday she went to the Queen Mother Hospital for Small Animals for a consultation. They kept her in all day for blood tests, urine tests and an ultra sound. The tests have shown that she has 1 large stone and loads of small stones in her left kidney and she has 2 small stones in her right kidney, which are proving to be very concering at the moment. As well as the kidney stones, the tests have shown that she also has a bacterial infection which are being treated with antibiotics. The vets at the hospital were amazing, and are going to be having a big team meeting at some point this week to discuss possible treatments which can be done and they are also going to be contacting a specialist in America for some additional advice and treatment suggestions. One of the treatments avaiable for us is an operation, where they will be putting a stent into her Kidneys. As for what we know is coming up, she is going to be having blood tests this Thursday to see if they antibiotics are helping reduce the infection in any way. She is still a little down and eating small amounts but is drinking alot more than she was. I will be sure to update you on what happens. Thank you for the donations so far! A quick update for you all, Lou Lou has an appointment for X-rays and blood tests on Friday&her first appointment with specialists is on Monday at Queen Mother Hospital for Small Animals. I will keep you all updated on what happens.